Can you guess what DVD is in her hands? 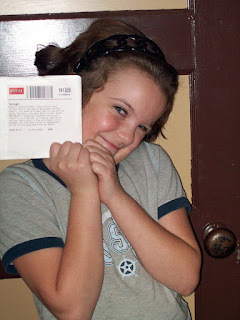 Who knew how happy Netflix could make a girl?! Could it be Twilight? Hummm, seems that is an I love _______ to me.